3-star chefs at your event! 3-star Michelin Chefs Peter Goossens and Sergio Herman, together with the “maker of the worlds best dessert”, Roger Van Damme have launched a brand new concept: Mnu. B-Art Eggsclusive Events is their exclusive partner towards events of all sorts. Their shared passion of both Mnu and B-Art is delivering top culinary experiences to events great and small, a true exploration of all the senses. Looking for a 3-star workshop, an unforgettable client happening, an exceptional gala dinner for hundreds, even thousands..
Anderson Bairros, dance instructor, gives lessons in Samb’aerobic in companies! Surf to www.andersonbairros.com, click on “videos” and you get a clear image of what Samb’aerobic is all about!. Interested in this trendy new sport that has taken all the healthclubs in Rio by storm? or call + 32 2 762 30 05 or + 32 495 536 936. NBTC (Netherlands Board of Tourism & Conventions), a partner of long standing, joined forces with BBT Online on the weekend of July 4th for a great weekend in Amsterdam together with 15 corporate and association readers with partners. The same program was repeated on the weekend of 11/12 July for Incentive Houses. Click here to read all about the program, the feedback of the participants, to learn about original incentive ideas, and above all some insider tips on the best hotels, most trendy restaurants, best venues, etc. Amsterdam has to offer. And yes, it’s official now, one can eat very well in the Netherlands. Karin de Graauw, editor of BBT Online reports. One of our all time favorite movies, The Godfather. The Francis Ford Coppola saga “The Godfather” was partially filmed in Sicily and many scenes took place around the Taormina area. Since the village of Corleone, was too developed even in the early 70s to be used for filming, the Sicilian towns of Savoca and Forza d'Agro outside of Taormina were used instead. This is where you'll find Bar Vitelli and the church Michael was married in. While in another top private venue you’ll find the famous shoot of the explosion of the car where Apollonia the first wife of Michael Corleone (Al Pacino) died. The Italian DMC Eventia used The Godfather’s topic and original places for a unique “special theme” incentive program able to combine adventure, discovery, culture, entertainment and amusement. New!!! In each edition of Take 5, BBT online asks one of its readers to share his or her favorite restaurants and other favorites. After last editions' enthusiastic reactions, we decided to ask this time 2 readers about their favorite spots: Marianne Hoogeveen (Contour Consult) and Dries Jacobus (Borealis Incentives Belgium). This time we go one step further, we also ask them about their favorite countries, hotels, MICE personalities, and more ...! 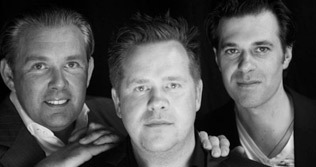 Dries, is owner of Borealis Incentives Belgium based in Bruges and SITE BeLux Chapter President-Elect. Having travelled all over the world for years, and loving life, food and a good glass of wine or whisky, he is a true “bon vivant”. Click here for to see Dries' selection. 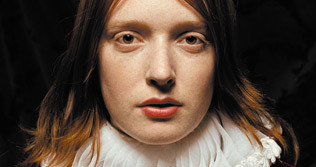 Marianne is a true “Neder-ketje”, she is Dutch but has lived in Brussels for more than 14 years. Marianne is also a “real foodie” and came to Brussels after her Hotelschool studies in Maastricht. She started to work in hotel sales and then moved on to the tourism industry and worked for the Dutch board of tourism (2 yrs) followed by the Malta Tourist Office in Belgium (5 yrs). Marianne started her own company three years ago, Contour Consult, and is happy to represent the Malta Tourism Authority in the Benelux as well as the Hague Convention Bureau in Belgium. Click here to see Marianne’s selection. Do the Slumdog Millionaire Tour!! 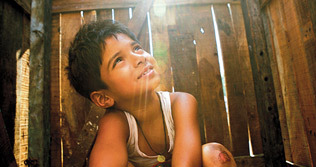 There is no denying it, Slumdog Millionaire has been and still is a raving success. Following on this success Mumbai agencies are now proposing Slumdog tours of the poorest quarters of Mumbai. The slums are ‘in’ with the tourists, especially Dharavi where the Danny Boyle movie was filmed. A nice touch, the agencies promise that 80% of the benefits of these Slumdog tours will go to charity work in the slums! Like traveling but also to have the feeling to have done something for other people? The Fox Feel Good trips can give you exactly that feeling. This internet touroperator organizes, together with the Orange Angel Foundation, trips combined with volunteering. Serge Tapia, CEO of French Incentive House ‘Agence T Com T’, gives us his view on the effects of the crisis. He looks at it from a point of view of Incentive organizer. Two of his statements: our principal competitors are our own clients. One tends to imagine a zero added value of the agencies. Budget cuts, less participants, less days away, choice of less ‘exotic’ destinations… This is what we hear everywhere… But what is really happening? Which tree hides the forest? Is the situation in France a true reflection of what goes on in your market? Do you see things the same way? Give us your reactions & points of view! 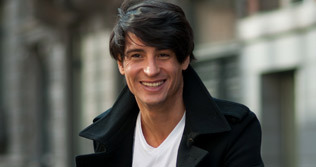 Click here for Serge Tapia’s exposé. Belgian summers may not be always everything we want them to be, but let’s imagine a summer evening spent sipping cocktails on trendy bar’s roof terraces! The city lights are laid out below you, but you’re far away from the hustle and bustle of the streets. Here are 10 of the world’s hottest rooftop bars! Click here. past & present under 1 roof! 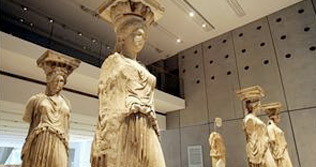 The New Acropolis Museum, which cost $200 million and sits near the base of the Acropolis with a direct view of the Parthenon, is one of the highest-profile cultural projects undertaken in Europe in this decade and was inaugurated on June 20th, 2009. The museum holds more than 4,000 ancient works, including some of the best surviving classical sculptures that once adorned the Acropolis. The new facility, 226,000 square feet of glass and concrete, was designed by the New York-based architect Bernard Tschumi. Being a network of European quality venues in historic buildings makes the 'Historic Conference Centres of Europe' (HCCE) unique. The HCCE conference centres show great variety and choice in atmosphere, architecture and capacity. Each venue hosts a minimum of 150 delegates in one plenary hall and offers break-out rooms. Size is not an issue when you know that some centres welcome over 9000 persons in their largest hall. The venue directory offers conference centres that are a minimum of 100 years old, often located at monumental buildings. They represent landmarks in cultural rich European cities and are known for their high quality standards. 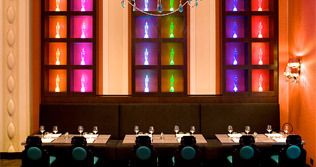 Radisson Blu St. Helens Hotel Dublin, Ireland. In today’s economic climate, planning and evaluating meetings and events for bottom line value is more important than ever. ROI Week in Dublin offers six different courses to achieve and prove Return on Investment, including the launch of SenseiROI, an online tool which takes most of the hard work out of setting objectives, collecting data and evaluating results from meetings and events. 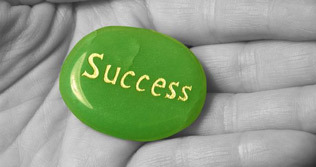 all course fees by 40% or more! Wyboston Lakes, one of the UK’s most respected conference and training centres, has launched a guide to help delegates make the most of mixing with peers and corporate influencers. With workplace etiquette extending its reach into meeting rooms across the UK and Europe, corporate customs and culture has never been more prolific. Hence the need for a definitive ‘Etiquette’ guide for delegates: the Delequette! Click here to read some of the most important rules of etiquette. Organizers know it, events are about first & last impressions, about how the décor of the venue went hand in hand with the audiovisual and other special effects, the food, the guests etc..
BBT Online’s journalist Viviane Vogels shares her ‘wish you were here’ moment. Going to South Africa for the first time is like falling in love for the very first time. The moment you arrive something stirs inside you. 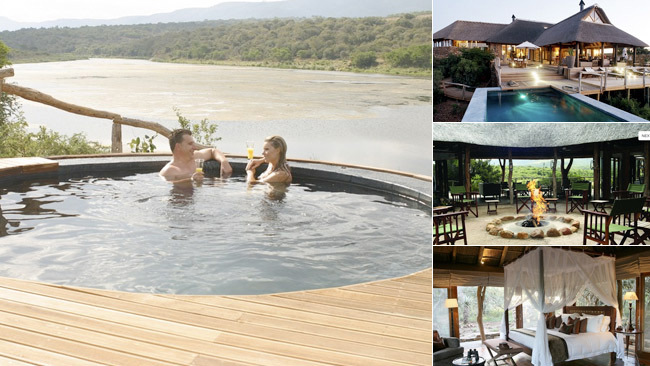 For me the butterflies really started fluttering upon arrival in the absolutely gorgeous Pumba Game Lodge near Port Elizabeth on the Eastern Cape of South Africa. 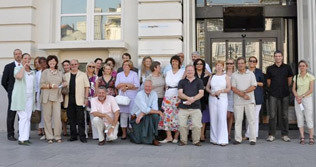 On 1st July 2009, some 30 members and their partners got together for an evening in Brussels. Under a summer sky, they were welcomed by the main sponsor, Brussels International – Tourism & Congress, to discover BIP (Brussels Info Place), just off the Belgian Royal Palace. First stop was the brand new Magritte Museum, located just next door to the BIP. The Magritte Museum is a must-do in Brussels! A fantastic building at a magnificent location. After the very interesting visit which showed that Magritte is a lot more than birds and clouds, the group went for a little walk (downhill fortunately...) toward the historic Grand’ Place for a dinner in the heart of Brussels. This workshop not only looks at the strong features of your face and what they say about you, but also teaches you to make the best of your most prominent facial features. A perfect opportunity to learn all about your face and go home with a complete “face” book, full of make-up tips. Thursday 13 in Bruges and Monday 24 August in Heverlee are the next workshop dates. Costs 65 euro. The Rezidor Hotel Group announces the opening of the first Hotel Missoni, developed in collaboration with the renowned Italian luxury fashion dynasty Missoni, in Edinburgh, Scotland. Hotel Missoni Edinburgh represents a new standard of design hotel that combines the style of the iconic fashion and interiors label with the expertise of one of the world’s leading hotel operators. As a tribute to the Scottish heritage, Rosita Missoni has included pieces by Charles Rennie Mackintosh including his famous Ladderback Chair. 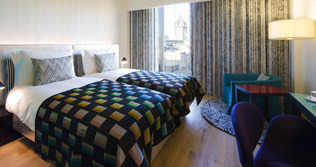 Hotel Missoni Edinburgh offers 136 rooms and suites, some of which enjoy views over the city landmarks and the famous Royal Mile. The Buddha-Bar Hotel Prague – the first ever hotel of the worldwide known brand Buddha-Bar – presents tailor made packages focused on exclusive relaxation and discovering unconventional admirers as well as on business travelers. One of the most popular packages is the Romantic Getaway. This offer includes a bottle of Champagne with strawberries and romantic flower decorations upon arrival, a three-course candlelight dinner at the Buddha-Bar Restaurant, private use of the Jacuzzi and fitness, Buddhattitude massage, the Buddha-Bar lounge music CD and a “Romantic Gift”. Minimum stay for each package is two nights except the Prague Business Package where the offer can be used for 1 night only. In these days of severe budget cuts it is refreshing to know that there are actually still a great number of activities for free in Brussels. Why not incorporate them in your programmes and use the money ‘liberated’ through this initiative to spruce up your meal budgets or other activities? Dominique André of OPT (Wallonia Tourism) has put a lot of effort and research in the Bxl4free project and has made a number of very interesting links, definitely food for thought for any organizer! Let yourself be inspired, and click on following links for great ideas for…no budget! At a recent meeting of the UNESCO World Heritage Committee 13 new sites were added to the already extensive list. Two of the new sites are in the Benelux. 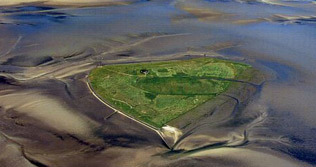 Holland now has the Waddenzee protected for the future, in Brussels the famous Palais Stocklet on Avenue de Tervuren was also added to the list. As much as everybody can enjoy the splendour of the Waddenzee in the Netherlands, unfortunately the Private Residence Stocklet can only be admired from outside. In Italy the Dolomites, a mountain range in the northern Italian Alps, numbering 18 peaks which rise to above 3,000 metres were also added on to the list which now counts a total of 890 properties. • Looking for a restaurant in Brussels with a typical Belgian atmosphere/look/food? Try Belgo Belge. www.belgobelge.be Reasonable prices. Foreign visitors love the place. But of course also for locals. • Another restaurant we can recommend in Brussels: Les Foudres. In the vicinity of blvd General Jacques. During the summer months you can also enjoy a delicious dinner in the adjacent garden and orchard of 1000m². www.lesfoudres.be Also for events. • For a festive evening, The Stage in Antwerp, Belgium launches its new Vegas Show called Revue. It’s Our Earth II -from Kyoto to Copenhagen, an exhibition on sustainable development to be seen and experienced from 10 September 2009 through to the end of March 2010 at Tour & Taxis, Brussels. • Did you know that in 2008, as per ICCA and UIA, Ghent was the second largest convention city of Belgium after Brussels? Congratulations also with a 79th place worldwide. As a supplier or planner, you can, for 45 euro per year only, support our magazine to keep you informed about the very latest news on Meetings, Conferences, and Incentives. Contact us at info@bbtonline.eu to join the Club! • Another invitation. For Benelux MICE planners (Corporate, Association and Incentive Houses): The Austrian Meetings & Incentives Exhibition in Vienna. 5 – 6th of October 2009. Click here for more info. • BBT Online goes with a group of readers (BeNeLux MICE decisionmakers) to Bangkok, 3 – 8th of October to attend the IT&CMA fair, and to Cuba, November 18 – 22nd of November. More info on www.bbtonline.eu/invitations.php for the MITM Americas Fair. Interested in joining us? Send an email to info@bbtonline.eu. • Summer time = Party Time. Find herewith World’s 100 Best Bars, http://www.worldsbestbars.com/top-100.htm Apparently Wold’s Best Bar is in Helsinki. The website rate Belga Queen, Archiduc, Mappa Mundo and Havana as Brussels best 4 top bars. • The Belgium site www.kidonaki.be is looking for 1.000 objects to be put online for sale for a charitable cause! Go to http://www.kidonaki.be/spip.php?page=inscription, and find out how to donate without having to pay any money! • Until September 24th more than 20 museums and Palaces in Portugal will be open every Thursdaynight until midnight. • The Belgium based company Passport-Expopedia launches www.expopedia.net, the first dedicated website to source exhibition services worldwide. Expopedia.net is the first application that was developed by industry professionals for industry professionals. It is easy to use, free to use and reliable as to the companies it refers to. 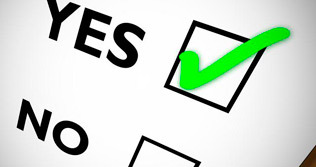 • You missed one of our previous editions of take5? Click here for to read our previous 7 editions. • Consult BBT Online's MICE Agenda, www.bbtonline.eu/agenda.php and don’t miss any event. • BBT Online has scoured Belgium, its near neighbours and the wider world for hotels with exceptional spas for guaranteed post-meeting bliss. Read here all about 20 hotels with a great spa in 11 different countries. • Mercure announced its 6th Hotel in Belgium to be opened in April 2010. It will be situated at the Brussels Midi Railwaystation. • If you always wanted to open a B&B, we recommend the recent work by Erwin De Decker “Hoe begin ik een B&B” (ISBN 978 90 209), available in all Belgian & Dutch bookshops. • The ladies restroom of the Tremont Grand Hotel in Baltimore, Maryland, has been nominated for best ladies restroom in the US…. whatever next….? • Etihad Airways announces record-breaking US$ 14 billion aircraft engine order. They chose GE Aviation, Rolls-Royce, Engine Alliance and International Aero Engines (IAE) to power the new Airbus and Boeing aircraft. • Agent fares of Air Mauritius valid for travel from 2nd September till 15th October. • Garuda Airways has been taken off the European Union blacklist! • The BestCities Global Alliance has appointed Gary Grimmer & Company (GG&Co) as its new management company. Eight of the world's leading meetings destinations on five continents - Cape Town, Copenhagen, Dubai, Edinburgh, Melbourne, San Juan, Singapore, and Vancouver are Partners in the Alliance. • Every take5 edition we publish a small video clip from YouTube. Click here.